Home Anime Looks Like Shuuichi Shigeno Isn’t Done With The Hachiroku Just Yet! Looks Like Shuuichi Shigeno Isn’t Done With The Hachiroku Just Yet! You just can’t let go of something great can you? 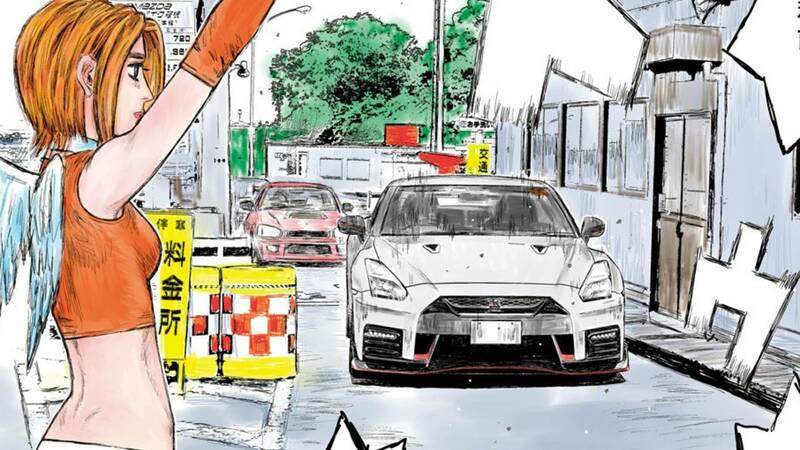 Shuuichi Shigeno, most probably known for creating the widely popular manga and anime called Initial D, is giving the fans a bit of a throwback from his new series called MF Ghost. Well, at least its the closest you can get… Read on. The sports car is driven by Kanata Livington who is the protagonist of the the story. Unlike Initial D, MF Ghost is set in the not so distant 2020, where almost all automobiles are self-operated. Following his recent graduation, Kanata returns to Japan to put his skills to the test. Though the 86 model (known as the GT-86 or Scion FR-S in the west) is a recent one. It is certainly pays homage to the legendary hatchback, because that car is known the spiritual successor to the Toyota Trueno. What’s even more interesting is the fact that there are rumors that MF Ghost and Initial D (aside from having the same creator) are somehow connected to each other story-wise… Hmm but how? Well it looks like we have to wait a bit to find out! Previous articlePopsicle Games brings the Indie-niable Talent and Awesome Games to ESGS 2017! Next articleYou’ve activated my trap card! Taipei Game Show brings next-level gaming for Pinoy gamers to enjoy at ESGS 2017!